The City of Carson operates four aquatic facilities during the summer months, from June through September: Carson Park Pool, Scott Pool, Dominguez Aquatic Center, and Hemingway Aquatic Center. 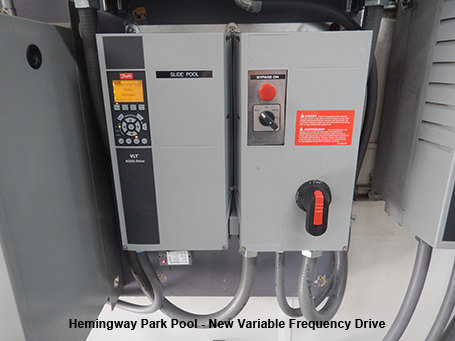 Replacement of two pool heaters, two variable frequency drives and two flow meters. 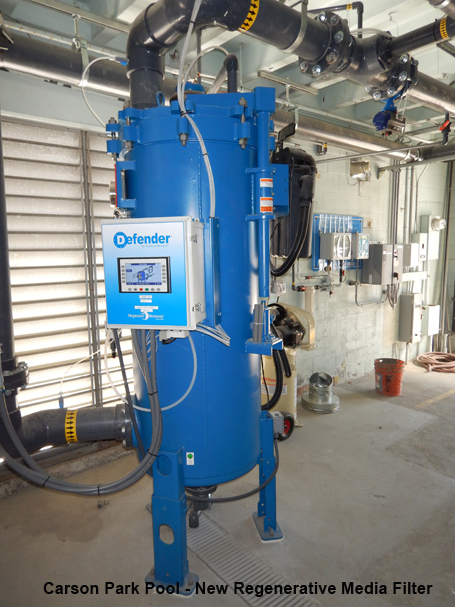 Installation of new regenerative media filtration system, new pool heater and associated piping, new LED underwater lights, new handrail, new deck equipment anchors and new pool plaster finish.